1. Luo Y, Shoemaker A R, Liu X, et al. Potent and selective inhibitors of Akt kinases slow the progress of tumors in vivo. 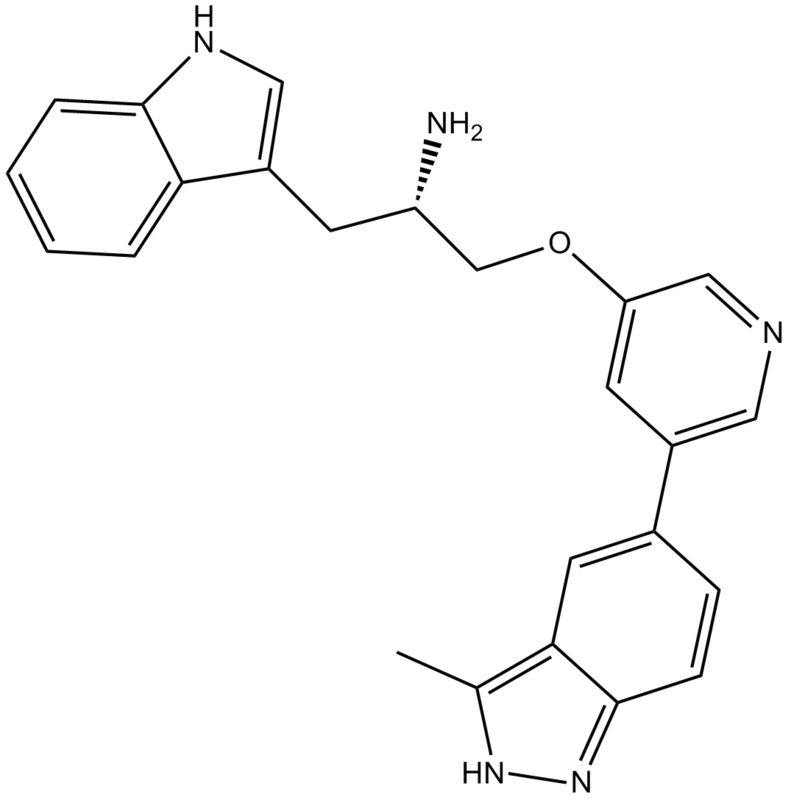 Molecular cancer therapeutics, 2005, 4(6): 977-986. 2. Liu X, Shi Y, Woods K W, et al. 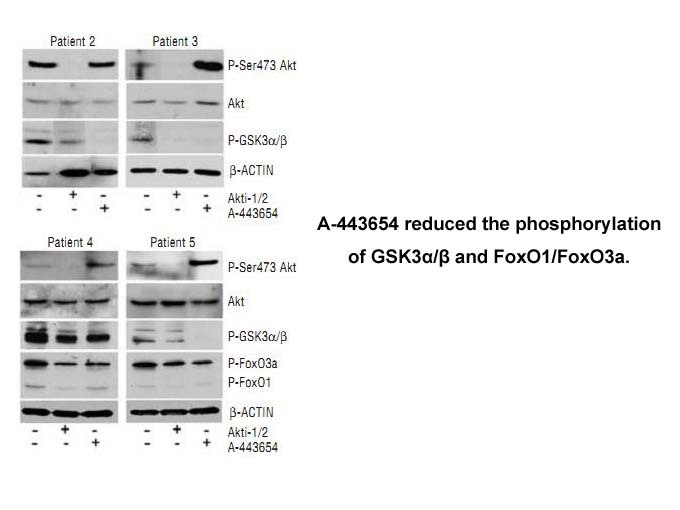 Akt inhibitor a-443654 interferes with mitotic progression by regulating aurora a kinase expression. Neoplasia, 2008, 10(8): 828-837. 3. Merce de Frias M, Iglesias-Serret D, Cosialls A M, et al. Akt inhibitors induce apoptosis in chronic lymphocytic leukemia cells. haematologica, 2009, 94(12): 1698-1707. 4. Cherrin C, Haskell K, Howell B, et al. An allosteric Akt inhibitor effectively blocks Akt signaling and tumor growth with only transient effects on glucose and insulin levels in vivo. Cancer biology & therapy, 2010, 9(7): 493-503.